After a hectic day at work, nothing can compare to the peace and tranquility of a place called home. 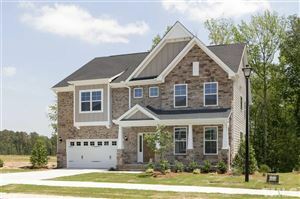 The Triangle's housing market prides itself in satisfying the most discerning tastes. Choose from the architectural classics of the picturesque historic districts to the stylish modern homes being built throughout the region's well-planned neighborhoods.The Greater Wake Forest Region's atmosphere can be described in one word: "festive." From January through December, one can always find a reason to celebrate life beyond the traditional holiday celebrations.